The Eagles of Strike Fighter Squadron 115 continue a proud legacy that dates to the dark months following the attacks on Pearl Harbor. Originally founded as Torpedo Squadron ELEVEN (VT-11) on 10 October 1942 the Eagles and their predecessors have been involved in every major American conflict since World War II. Having flown a multitude of aircraft from the TBF Avenger in the battlefields of the Pacific to the newest FA-18E over the sands of Iraq and Afghanistan, the tradition of excellence in action and devotion to duty has remained constant. As the nation mobilized for war in the Pacific, Torpedo Squadron 11 launched the first daylight strikes against Bougainville and the Solomon Islands from their base on Guadalcanal. In October 1944, attached to USS HORNET, the crews of VT-11 formed the tip of the spear in the first strikes against Okinawa. Two weeks later, after the failed Japanese attempt to reinforce the Philippines at Leyte Gulf, VT-11 enhanced its growing legacy by launching on a 340 nautical mile strike to finish off the remnants of the Japanese fleet. For their heroic actions during the war the crews of VT-11 earned seven Navy Crosses and established a tradition that would continue long after the closing of World War II. Following the war VT-11 returned to Naval Air Station San Diego. On 25 June 1945 the squadron received its first official patch, drawn by Walt Disney. The squadron was redesignated Attack Squadron TWELVE Able (VA-12A) in 1946. 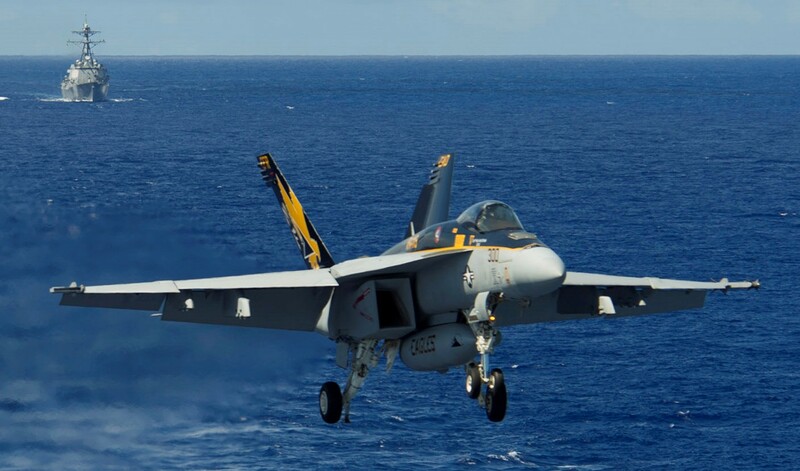 Two years later VA-12A participated in a world wide cruise onboard USS VALLEY FORGE making it part of the first carrier air wing to circumnavigate the globe. On 15 July 1948, the squadron was redesignated Attack Squadron 115 (VA-115) and transitioned to the Douglass A1 Skyraider, the last propeller driven fighter-bomber. In 1950 as the North Korean Army swept across the 38th Parallel launching the Korean War, VA-115 once again entered the fray. Deployed aboard USS PHILIPPINE SEA for nine months the squadron repeatedly distinguished itself. VA-115 launched strikes in support of the amphibious assault at Inchon, resulting in the relief of beleaguered American troops in the Pusan Perimeter. A second deployment to the Korean theater came in December 1951. Over the course of the squadron’s service in Korea it flew 2,268 combat missions and earned the Presidential Unit Citation and Battle Efficiency Award for its outstanding performance. On 17 September 1956 a new squadron insignia was approved, which replaced Disney’s torpedo-slinging cherub and reflected the squadron’s legacy and mission. The sun and stars represented day and night; the horizon with the longitude and latitude lines represented the Earth, which showed that the squadron had been around the world; and the sun dial pointed to the time 1:15. Although there have been some minor alterations, this is the same patch worn by the squadron today. A star has been added for each of the squadron’s major conflicts (WWII, Korea, Vietnam, Operation DESERT STORM, and Global War on Terrorism Operations IRAQI FREEDOM and ENDURING FREEDOM). In 1960 VA-115 adopted the nickname “Arabs” to commemorate passing through the Suez Canal aboard USS HANCOCK. In 1965 as the conflict in Vietnam escalated the Arabs were called upon to take the fight to the enemy. Deploying aboard USS KITTY HAWK the Arabs spent six months on the line at Yankee Station. During this line period VA-115 flew 2,051 combat sorties, released 7 million pounds of ordnance against enemy targets in Vietnam, and flew combat rescue patrols to protect pilots downed behind enemy lines. In September 1966 VA-115 joined CVW-5 aboard USS HANCOCK for another deployment to Vietnam from January to July 1967. In August 1967 the squadron was placed into an inactive status. 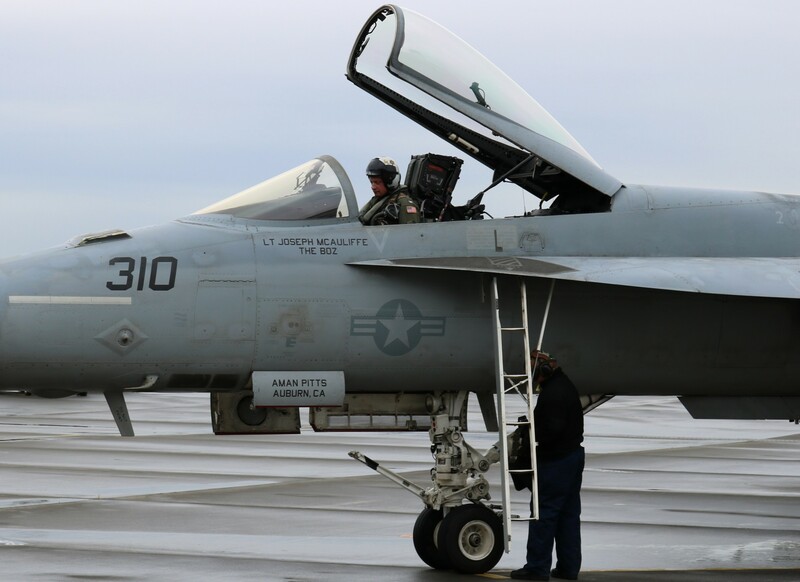 VA-115 returned to an active status in January 1970 and moved to Naval Air Station, Whidbey Island for transition to its third aircraft, the Grumman A-6A Intruder. In 1972 the Arabs deployed onboard USS MIDWAY and steamed into another line period off of Vietnam. Participating in Operation LINEBACKER I the squadron earned another Presidential Unit Citation. On 2 August 1990 Saddam Hussein launched the invasion of Kuwait and the VA-115 “Eagles” were called upon to support Coalition forces in the Persian Gulf. Deployed to the North Arabian Gulf, VA-115 protected reflagged Kuwaiti shipping and flew missions in support of Operation DESERT SHIELD. As diplomatic efforts failed to force an Iraqi withdrawal the decision to use force was reached. 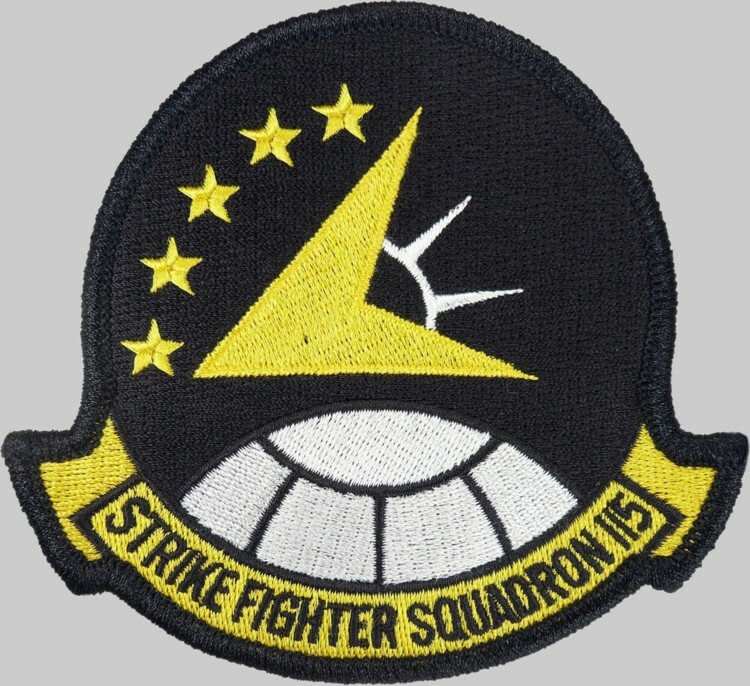 On 17 January 1991 VA-115 participated in the opening airstrikes of Operation DESERT STORM. The rapid dismantling of the Iraqi military was sped up by the 453 combat sorties and 724,000 pounds of ordnance expended by the Eagles. 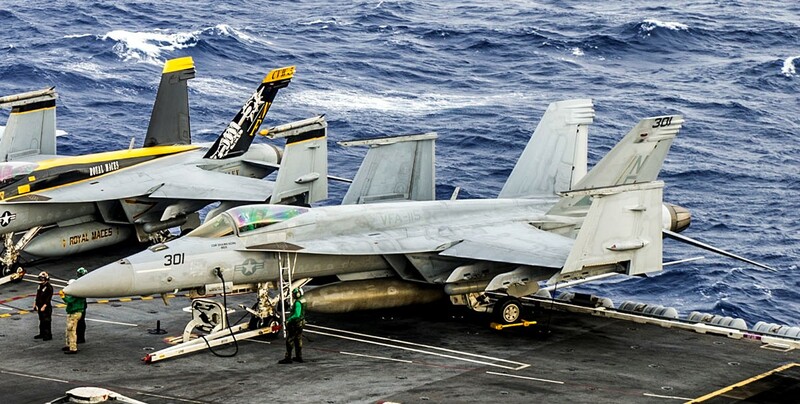 Following the cessation of hostilities the Eagles continued to support Operation SOUTHERN WATCH on multiple deployments aboard USS INDEPENDENCE, which relieved USS MIDWAY as the Navy’s forward deployed aircraft carrier. 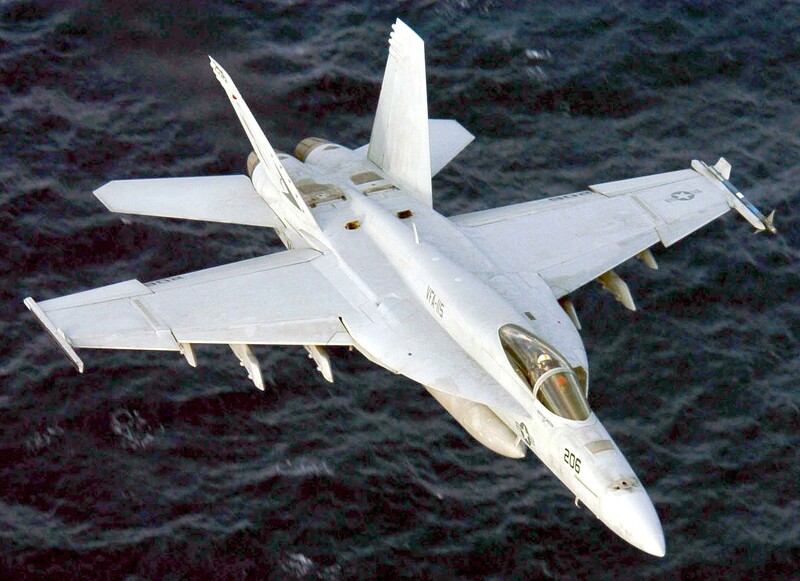 In 1996 VA-115 transitioned from the venerable Intruder to the FA-18C Hornet and moved to Lemoore, California. 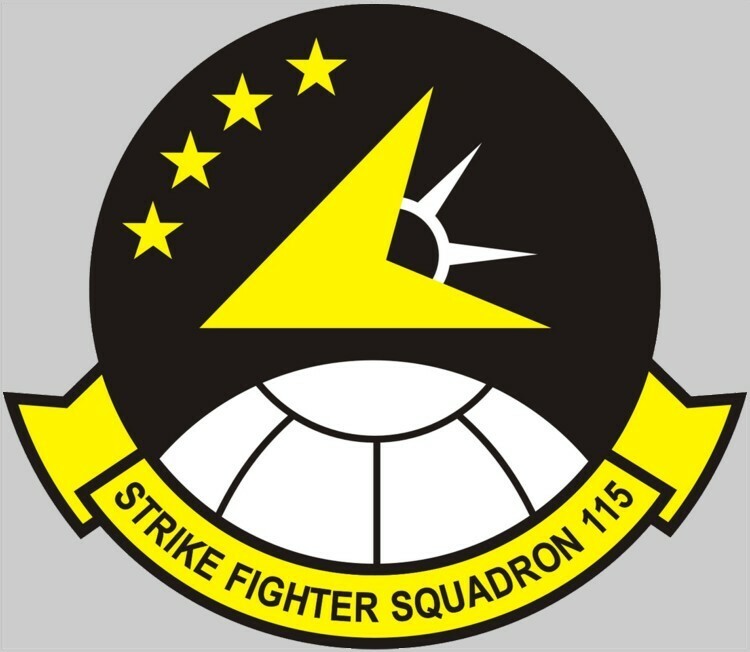 Newly redesignated Strike Fighter Squadron 115’s (VFA-115) time with the Hornet was to be short-lived. 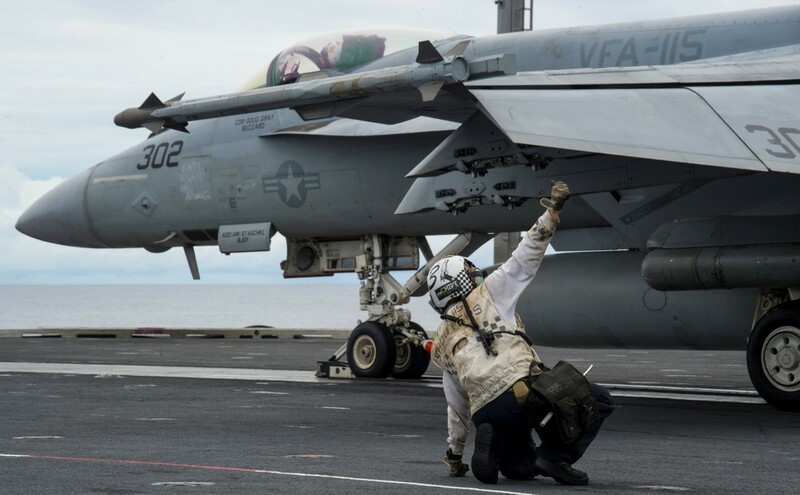 After only two deployments with CVW-14 onboard USS ABRAHAM LINCOLN, the Eagles were selected to be the first squadron to transition to the FA-18E Super Hornet. 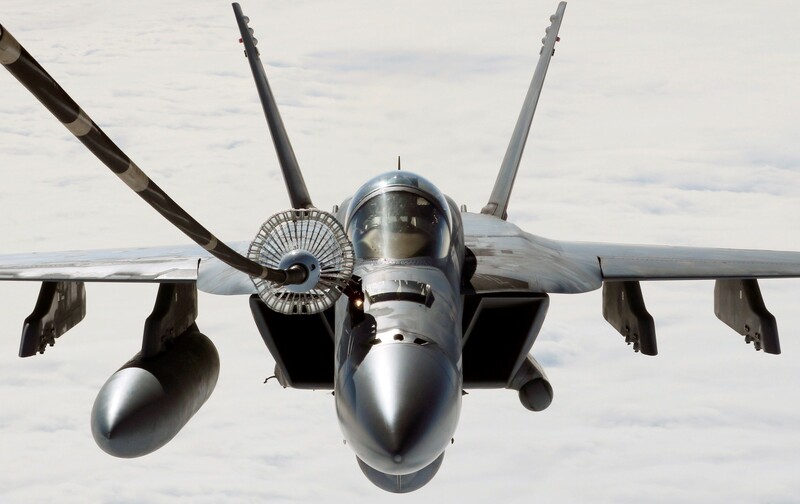 In February 2001 VFA-115 returned from its last WESTPAC in the Hornet and successfully transitioned to the Super Hornet in less than 100 days. 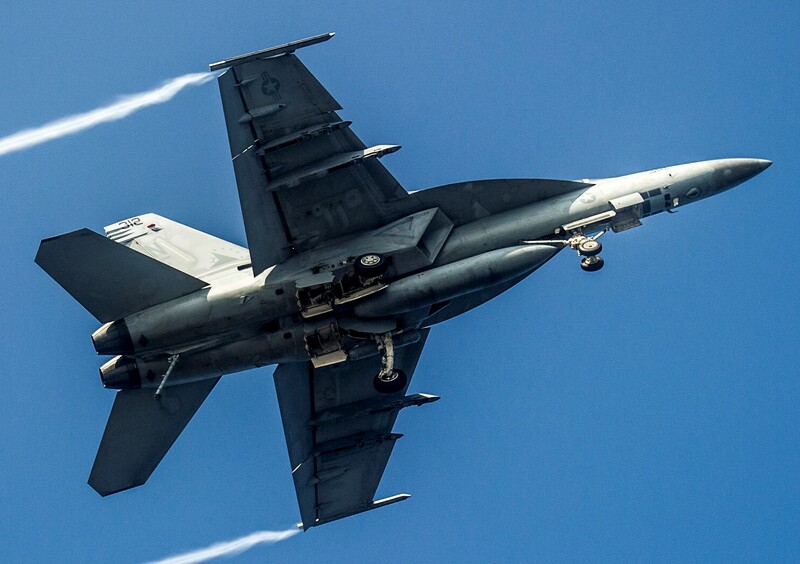 It was not long before the new Super Hornets were put to the test in combat. 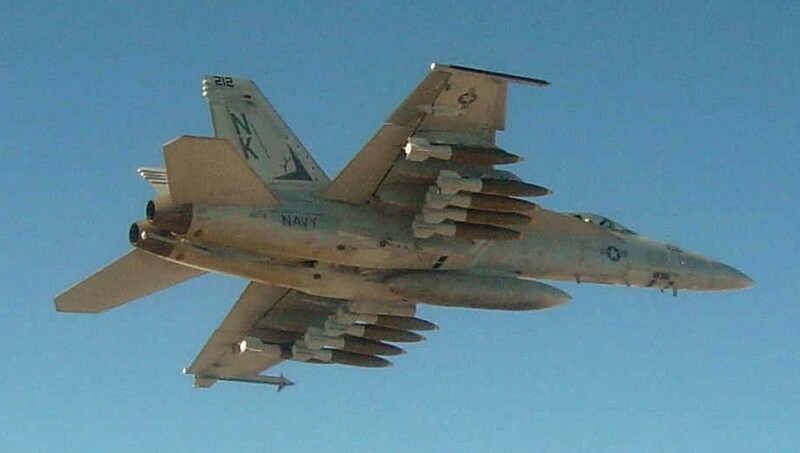 In 2002 VFA-115 dropped 22 JDAM in support of Operation SOUTHERN WATCH. In March 2003 the Eagles participated in the opening salvos of Operation IRAQI FREEDOM. 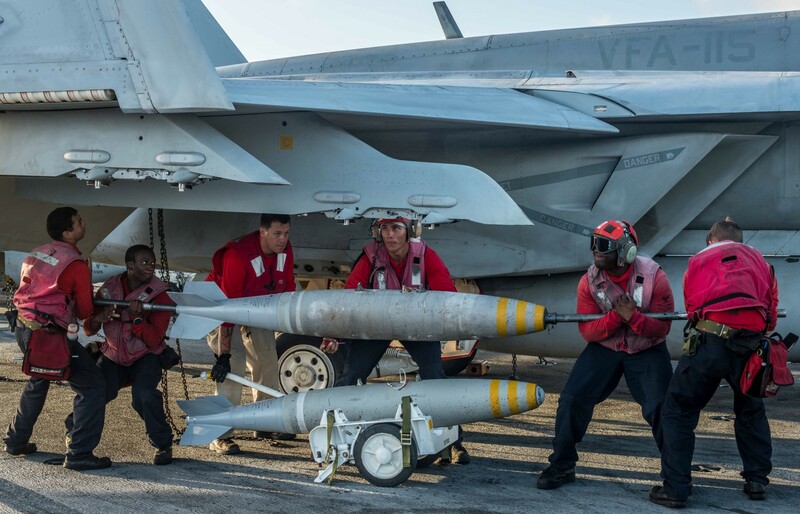 By April 9th VFA-115 had dropped 380,000 pounds of ordnance and provided three and a half million pounds of gas in the tanker support role. 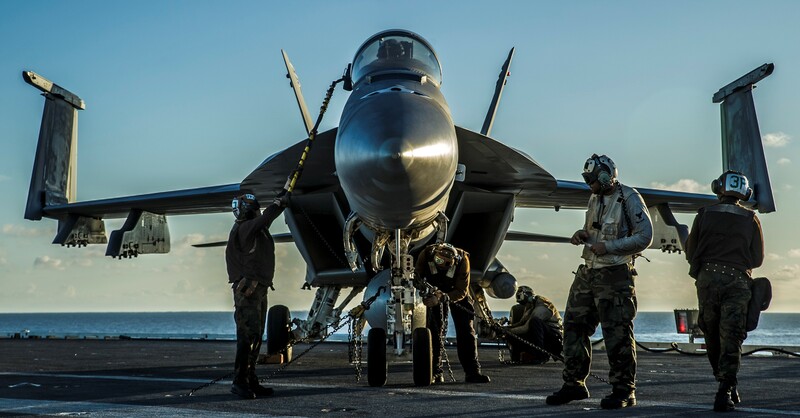 The sustained level of outstanding performance earned the Eagles and USS ABRAHAM LINCOLN the Navy Unit Commendation. 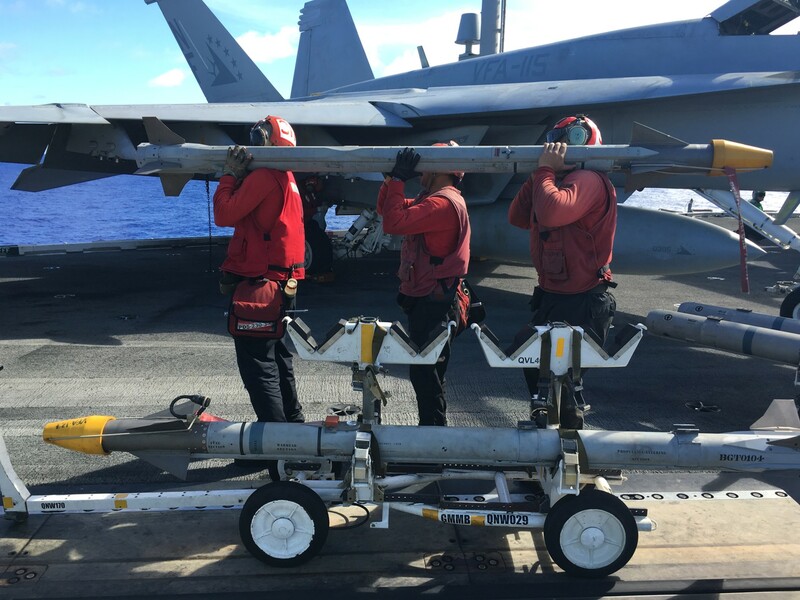 During an extended deployment onboard USS JOHN C. STENNIS the Eagles earned the Battle Efficiency Award yet again. 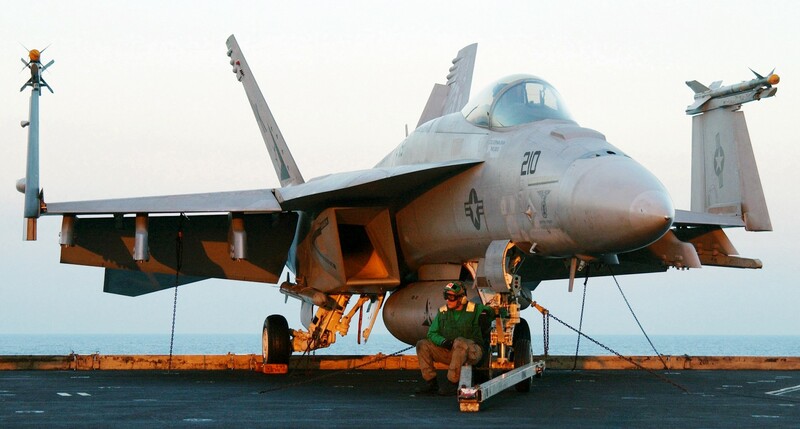 A second deployment in support of Operation IRAQI FREEDOM followed in 2006 aboard USS RONALD REAGAN. 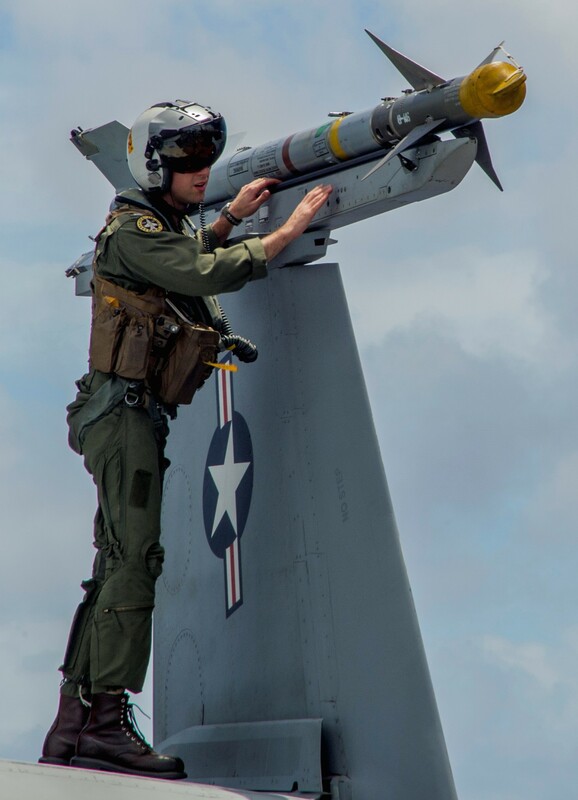 VFA-115 made history by dropping the first live ordnance launched from the deck of REAGAN. In 2008 the Eagles once again contributed to the Global War on Terror during their first Operation ENDURING FREEDOM combat operations over Afghanistan. 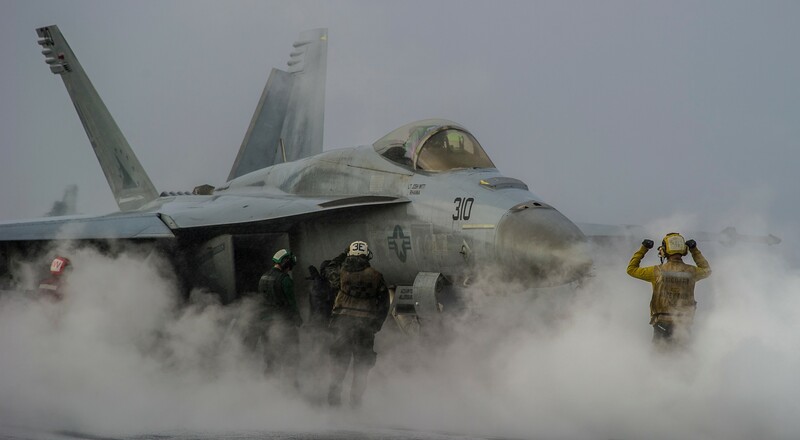 Flying from the decks of USS RONALD REAGAN the Eagles routinely flew the long transit north and provided invaluable Close Air Support to Coalition Forces on the ground. The Eagles proved themselves to be as lethal as ever by providing ordnance on target on time the first time every time during their operations over Afghanistan. 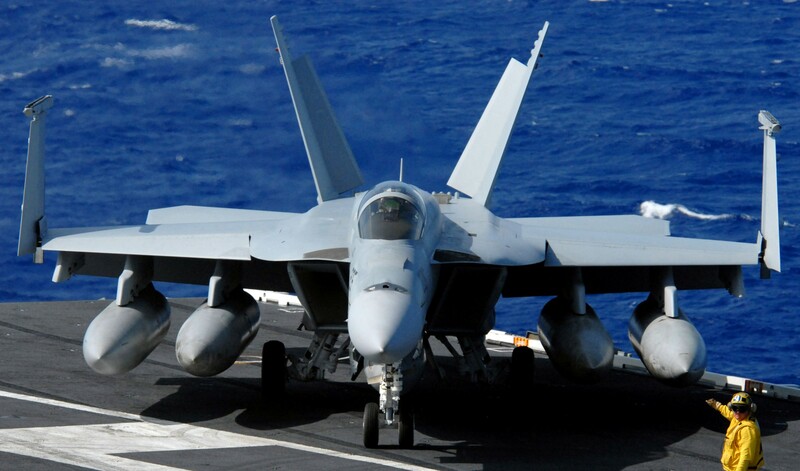 Upon returning home in November 2008, the squadron upgraded to Lot 31 FA-18E Super Hornets. 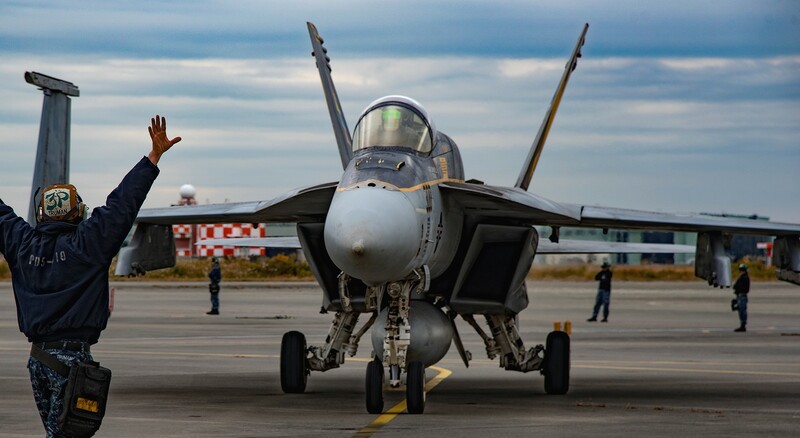 The new jets came equipped with the APG-79 Active Electronically Scanned Array (AESA) radar, significantly improving both the air-to-air and air-to-ground capabilities of the Super Hornet. 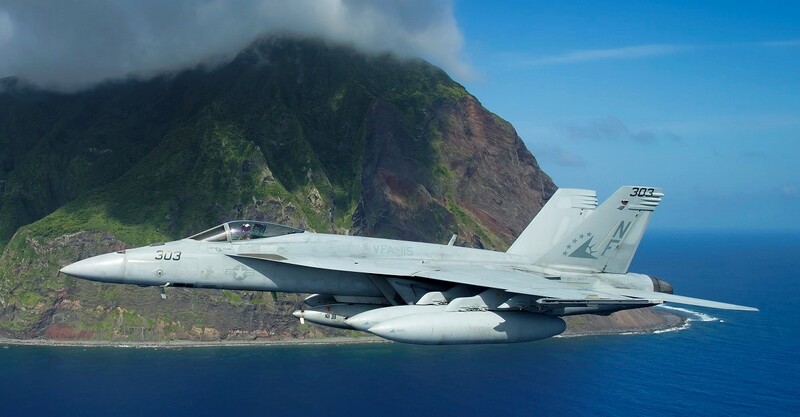 In June of 2009, VFA-115 departed once again for the Western Pacific, and spent an additional three months in combat supporting Coalition ground forces in Afghanistan with 100 percent fused ordnance on target on time. 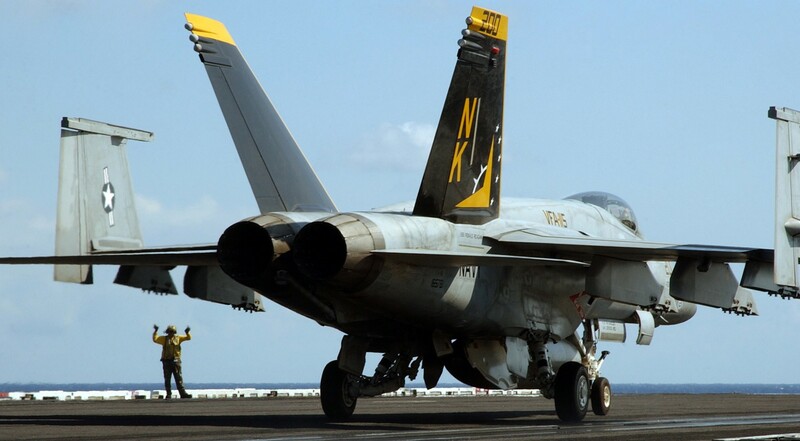 In December 2009, the Eagles relocated from Naval Air Station Lemoore, California to Naval Air Facility Atsugi, Japan, returning to forward deployed service with Carrier Air Wing FIVE after a 13 year absence. 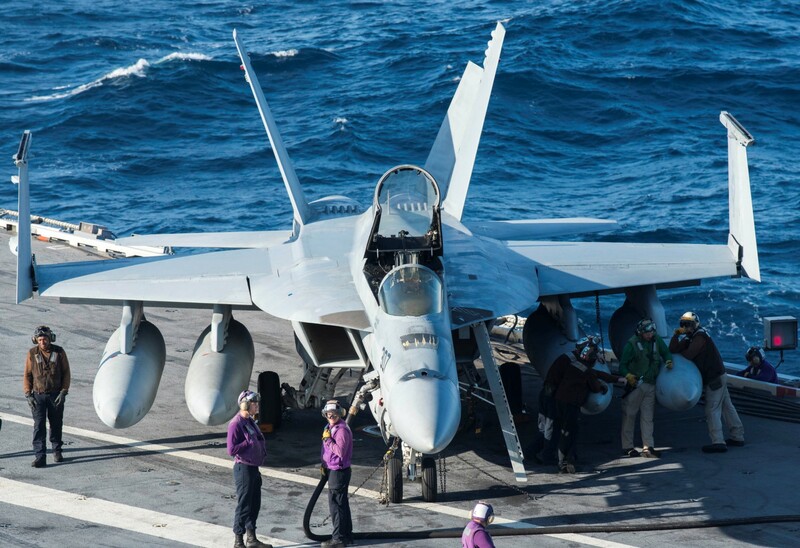 During the transpacific flight of the squadron’s 11 FA-18E Super Hornets, VFA-115 surpassed 70,000 hours free of Class “A” mishaps. 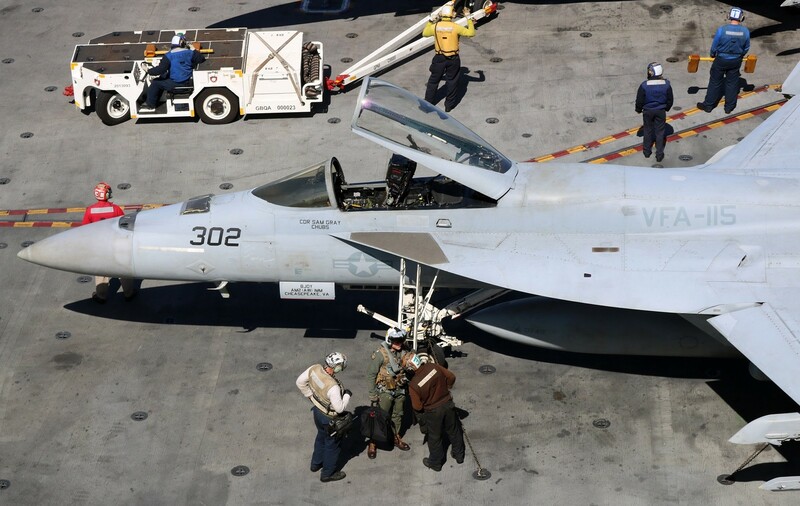 On 9 August 2015, VFA-115 participated in the "Three Carrier Hull Swap" as the USS Ronald Reagan took over the duty from the USS George Washington as the U.S. Navy's forward-deployed aircraft carrier in Japan. 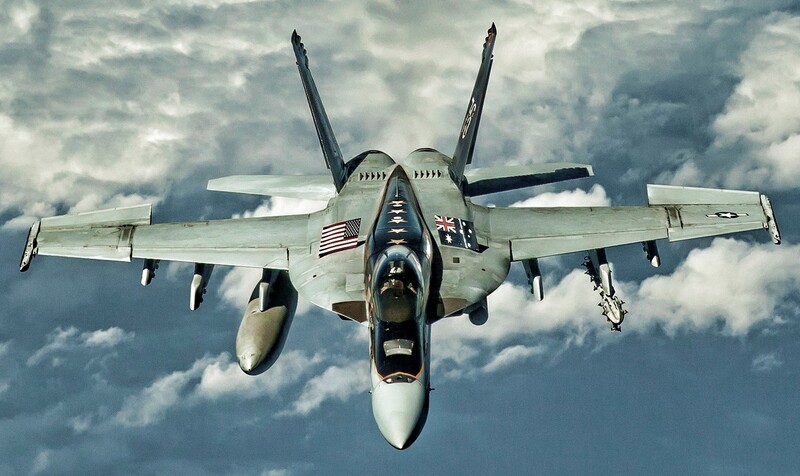 Since rejoining the Forward Deployed Naval Force, VFA-115 has continued the tradition of excellence displayed throughout almost 70 years of history. 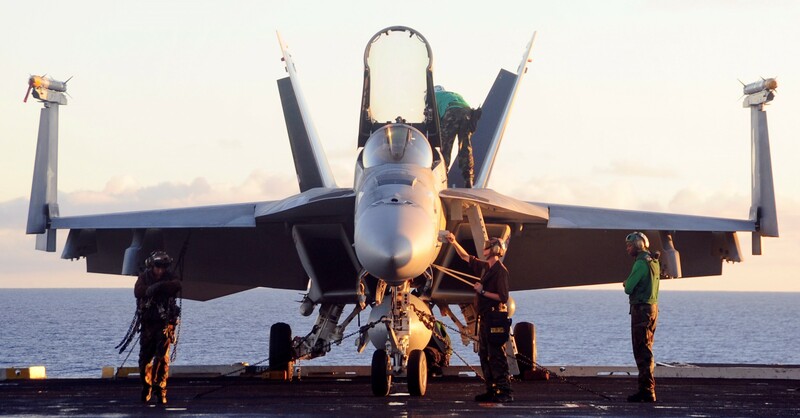 In 2010, the squadron completed another successful deployment, this time aboard USS GEORGE WASHINGTON, participating in multiple large International and Joint Exercises including KEEN SWORD, VALIANT SHIELD, and INVINCIBLE SPIRIT. 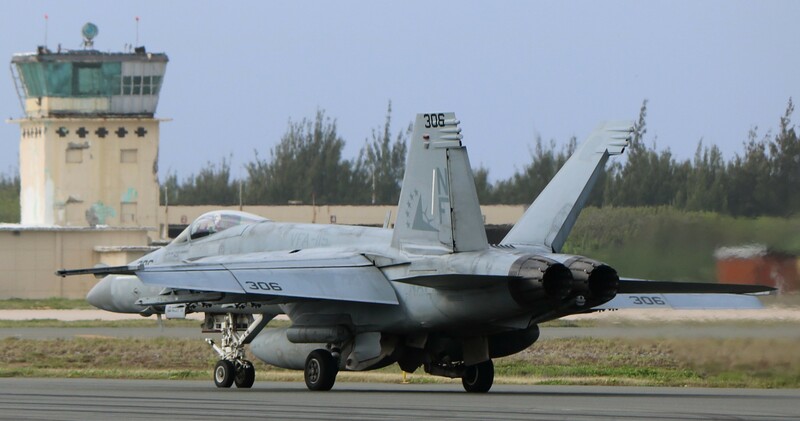 In 2011, the Eagles again displayed unparalleled dedication to professional excellence and a mission-first mindset by flawlessly executing a successful no notice squadron evacuation to Guam following the Great East Japan Earthquake of 2011 and Operation TOMADACHI. 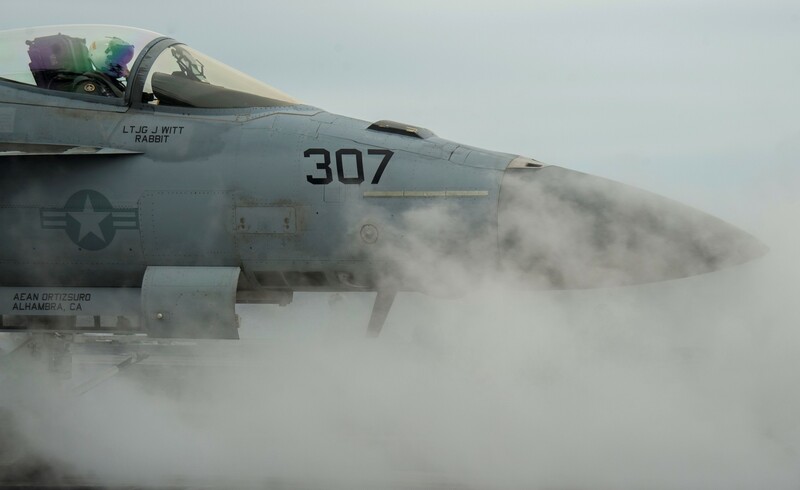 After receiving the order to return to Japan, the squadron again embarked aboard USS GEORGE WASHINGTON for another deployment to the Western Pacific, participating in Exercise TALISMAN SABER. 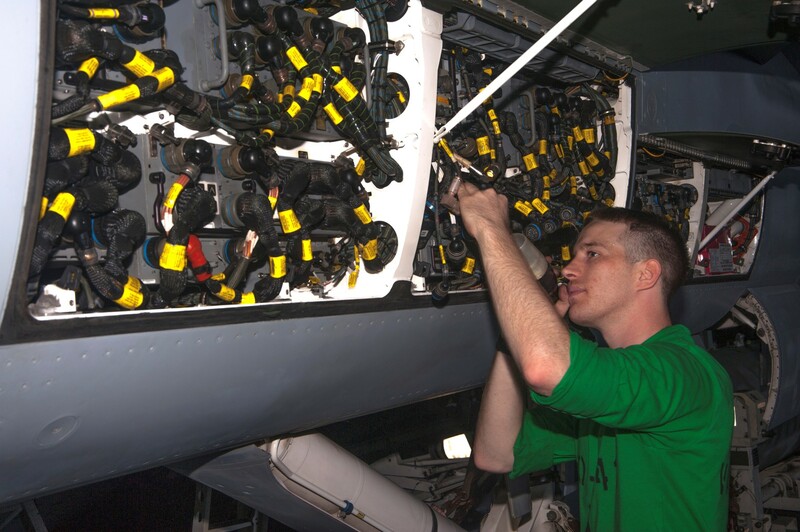 As a direct result of the hard work and dedication of all hands, the Eagles have earned numerous awards and accolades following successful back to back Western Pacific deployments, including multiple Top Hook awards, multiple CVW FIVE Golden Wrench Awards, and the 2011 Bruce Carrier Award for Overall Maintenance Excellence.